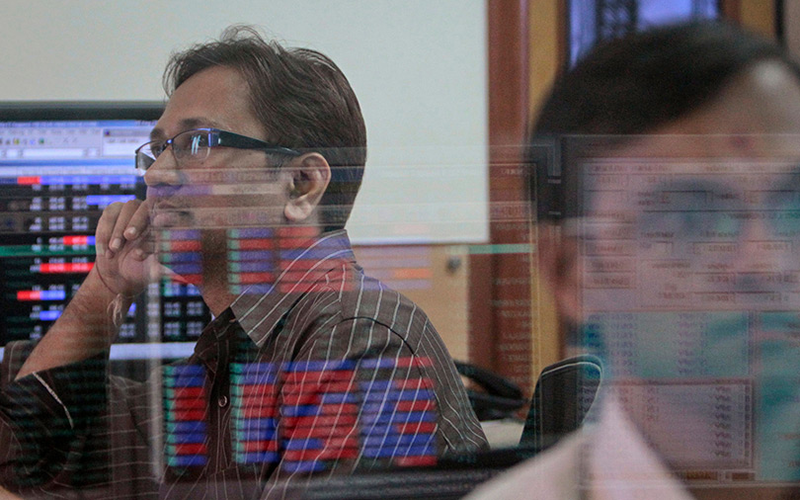 Indian shares rose on Friday and were set for a third consecutive session of gains after much weaker-than-expected economic growth data raised hopes the central bank would cut interest rates at its next policy meeting in October. India’s gross domestic product (GDP) growth slid to a three-year low of 5.7 percent in the quarter ended June, a marked slowdown from a 6.1 percent growth in the previous quarter and far worse than the median forecast for a 6.6 percent growth in a Reuters poll. The weak growth also led to a rally in bond prices, sending the benchmark 10-year yield down as much as 6 basis points. The Reserve Bank of India cut rates by 25 basis points last month and said it would monitor economic data for future rate cuts. Sentiment was also supported as broader Asian shares edged higher, taking cues from Wall Street, with MSCI’s broadest index of Asia-Pacific shares outside Japan up 0.21 percent. Analysts added investors were also hopeful the economy would recover with some uncertainties that impacted growth in the previous quarter, such as the goods and services tax, out of the way. “Markets are expecting that the worst disruptions are over, and that the data from hereon is going to improve,” said K K Mittal, Vice President at Venus India Asset Finance. “Global cues are also helping lift the sentiment,” he added. The broader NSE Nifty was up 0.51 percent at 9,968.80 as of 0831 GMT, while the benchmark Sensex rose 0.48 percent at 31,881.64. Both indexes were on track for the third straight week of gains. Auto stocks were among the biggest gainers, after posting positive monthly sales data, with Bajaj Auto Ltd rising as much as 3.7 percent, while Maruti Suzuki India Ltd was up as much as 1.8 percent. Dr.Reddy’s Laboratories Ltd stock rose as much as 9.4 percent and was the top percentage gainer on both the indexes after the company won a lawsuit against Indivior Plc over three patents in relation to a drug used to treat opioid addiction. Meanwhile, Aditya Birla Capital Ltd, which houses all of Aditya Birla conglomerate’s financial services business, fell as much as 5 percent, the maximum limit, on market debut.